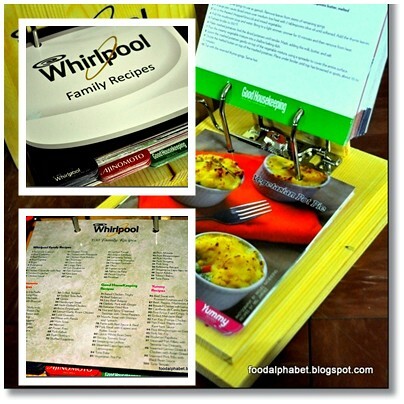 The Food Alphabet and More: Whirlpool 100 Family Recipes cookbook - Get to win one!!! 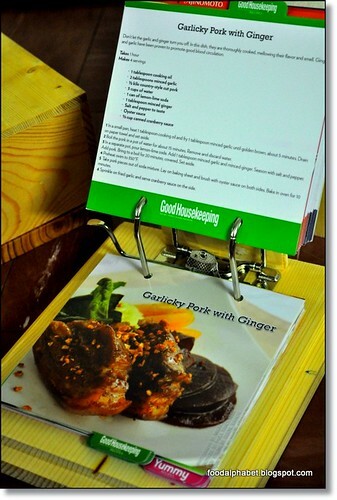 A recipe book like no other... encased in wood and made just perfect to be right beside your counter you when you make the recipes come alive. 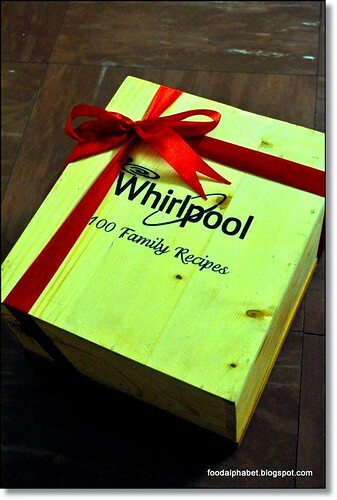 These recipes are home made specials shared to us by Whirlpool's loyal customers and thus is their contribution to Whirlpool's 100th year celebration. Together with home cook recipes from Yummy, Ajinomoto and Good Housekeeping, this is definitely a must have for every household. 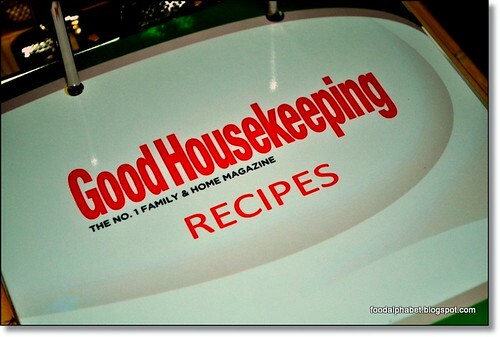 Found inside every page are years and years of wonderful cooking and memories, made into recipes by our lolo's and lola's, our moms and dads, even our brothers and sisters who have made cooking a part of every Filipino household. And it's true that indeed Filipinos are the most tasteful and wonderful eaters the world has witnessed. 100 Homemade recipes sure to satisfy your every craving. This limited edition recipe book will soon be available to consumers, but details are still underway and is expected to be priced at around P980. 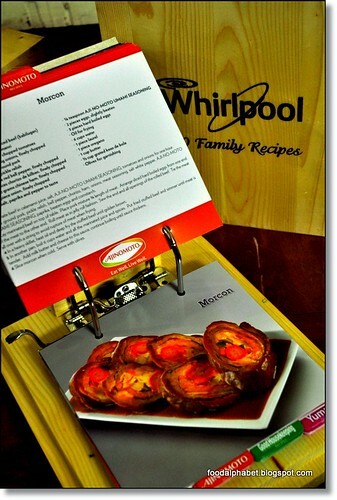 But because Whirlpool loves The Food Alphabet readers so much, we are giving 1 lucky reader a chance to own this one-of-a-kind recipe book! Be one of the only few to ever get your hands on this. Must be a follower of The Food Alphabet via Google Friend Connect ( Click join this site on the right side bar and follow directions). Click Facebook Share on top of this post and Post this message on your Facebook Wall.
" 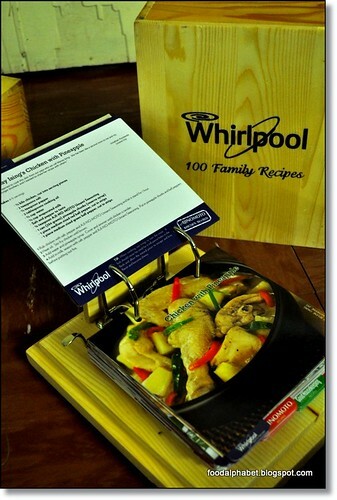 I want to win this limited edition Whirlpool 100 recipes book from tag@TheFoodAlphabet! @friend1, @friend2, @friend3 Let's Join and Cook!" Make sure to tag 3 friends and see to it that all 4 tags all highlighted in blue to be a valid entry. Post your Facebook url post on the comments section below with your name and email. This giveaway will be from Jan. 4, 2012 - Feb. 14, 2012. Winner will be announced a few days later. Winner is requested to pick up the prize with a meetup somewhere in Manila. So for provincial contenders, if you can pick up from Manila, then by all means JOIN!! (It's quite big and heavy). 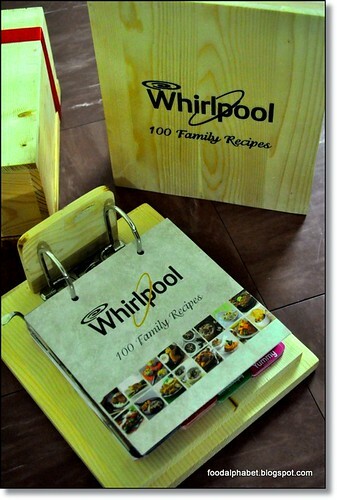 So can't wait to get your hands on Whirlpool's 100 Family Recipes cookbook? Join now and you might just take this one home. FREE!!! Would love to have this cookbook! ^^ Anyway, happy new year. Cheers to more food trips this 2012! I really love that cookbook!! !Hope to win!!! I really wanna win this cookbook! hi! happy new year! i want to join but i just cant find/ do this one -> Must be a follower of The Food Alphabet via Google Friend Connect ( Click join this site on the right side bar and follow directions). i also cant find the link. is this link also the same as foodie blogroll linK? (thats the onli "join" link i see on the page. I wish i could have this as a birhtday gift this jan.18.Thank's!!! As you can see on the right side bar there is "Join this site" button with members and their pictures. that is GFC, you should be a member to be valid to join. The link that we are talking about is the Facebook link. Once you click the F share button on top of this post then paste the message with complete tags then you qualify for a chance to win this. Hope I have enlightened you. I love to have this. ~~~ thanks for the opportunity! want to have this since my new year's goal is to learn more about cooking.. :) thanks! @Manila Stone. Thanks very much. I opened this site at my house, and I saw the join link already! I guess there's a firewall at work that blocks the GFC that's why I couldn't see it the other day. wow! amazing...i wish to have one ^_^. 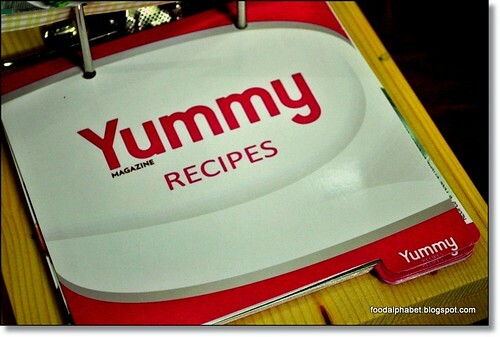 I love collecting recipe books, so am joining this one! like na like ko talaga to hope to have one.